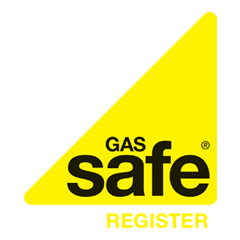 Gas boiler installers in the south-east of England should avoid agreeing to the promise of lots of work in exchange for an upfront payment of £2,000. It’s thought that the scammers are finding contact details of gas boiler installers online, one postcode at a time, with south-east England currently being targeted. The scam involves a phone call from an ‘agency’ promising to provide lots of guaranteed work in the local area. After the call, they’ll send you a contract that appears legitimate, however, they will ask for an upfront payment of £2,000 rather than commision on the work that will be carried out. Once they receive the payment, they move on and you’ll never hear from them again. If you receive contact from an agency with a deal that sounds too good to be true, it probably is. Be cautious of any agency that contacts you out of the blue with the promise of lots of work and do your research to ensure that they’re legitimate. The best way to find out if you’re being contacted by an official company is to look them up on the Companies House Service – a government website that will provide you with the company contact details, address and details of the personnel in charge. Remember to be cautious of any deals that sound too good to be true and thoroughly research any company before signing a contract. Pay Monthly Boilers: Are They Worth It?